Construct with a given child node. Get the bin's child node. Set the bin's child node. GxBin is a GxNode subclass, and is a base class for single-item containers. 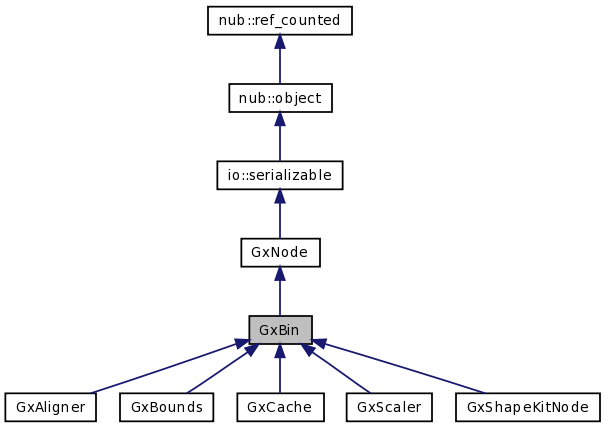 Definition at line 51 of file gxbin.h. This page was generated Wed Dec 3 06:54:35 2008 by Doxygen version 1.5.5.